Hi my name is Gillian Glass and I am delighted to be running Jo Jingles classes in the Glasgow South area. In 2001 I took a career break to be a full-time mum when I had my daughter and we attended our local Jo Jingles classes in Newton Mearns. The classes were fantastic so when I had my wee boys in 2004 and 2007 we also continued to go to the classes. I always wanted to work with children so when my youngest son was in pre-school in 2011, I needed something flexible to fit around my family's needs. The opportunity to buy the franchise came up at the right time and in October 2011 I took on the Glasgow South franchise. It's a joy to see the children each week and watch their enjoyment and progression, plus the interactive rapport I have with the children and their parents and carers is wonderful. I have always loved music and played the piano from an early age. Quite simply, I think music makes people happy! I love being a Jo Jingles class teacher! I have 3 boys and took them along to Jo Jingles classes when they were younger. I love meeting new children and families at classes. My little boy is a real advert for Jo Jingles. He loves it so much, even when he is not feeling well, he will still perk up to join in. He has been going now for a year. When he first started he was very clingy and very shy. Now he collects his own instruments and knows the routine. It has helped him with confidence and language. Also tidying up skills transferred to home. He is also a little mover and loves the singing, musical instruments and the dancing. The actions are great to all the songs. We have purchased the DVD and the latest CD so it is definitely a Jo Jingles house. He has them both on continuously and teaches his big sister the actions. All the members of the family including his Grandma have enjoyed the experience of seeing him so happy and participating at the classes. (Especially with such a great teacher Gillian Glass). 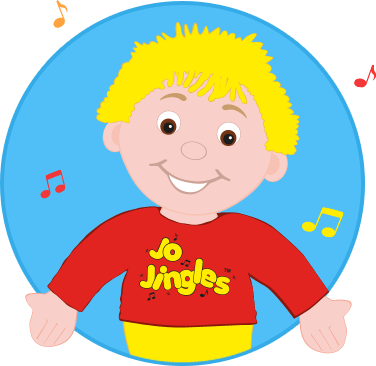 I would highly recommend Jo Jingles to all little ones. I think my little boy is a natural-born-Jingler. I have been singing to him since he was in my tummy and he has been mesmerised by Gillian & Jo since meeting them for the first time at just 3 months old. We first joined Jo Jingles when he was 5 months old & couldn't sit by himself. 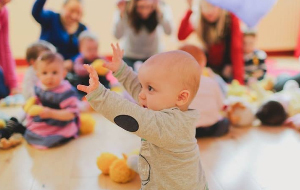 Now, at 11 months, he excitedly, & confidently, moves to the front of the class to be as close to the 'heart of the music' as possible, & he 'dances' & shakes along to his little heart's content! I love to see how much he loves his Jo Jingles classes. Thank you! I would highly recommend Jo Jingles to anyone looking for a structured, fun, educational class for their child. 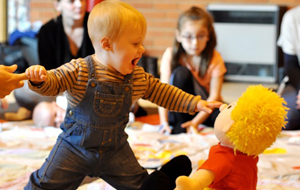 Every week has a different theme and introduces new songs and ideas to the children while still incorporating some of the regular songs which they know and love. The class teachers I have encountered have been very friendly and enthusiastic and encourage the children to participate at their own pace. 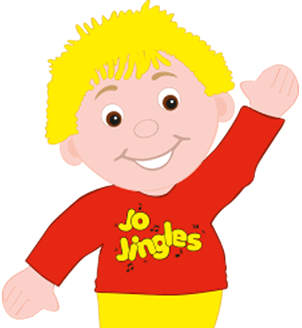 All three of my children have attended Jo Jingles classes at various times since 2004 and have thoroughly enjoyed them. My 18 month old daughter is a current “Jingler” and absolutely LOVES Jo as well as her class teacher. She keeps us entertained at home with her own Jo Doll and her interpretation of the songs she has learned in class each week. Jo Jingles has been a big hit in our house and I anticipate it will continue to be for some time!! I have been taking my daughter to Jo Jingles (at Parklands, Newton Mearns) for several months and we love it! The classes are really good fun. We enjoy the range of instruments and variety of songs and activities. I have seen my daughter become more confident each week and can see how much she enjoys it. 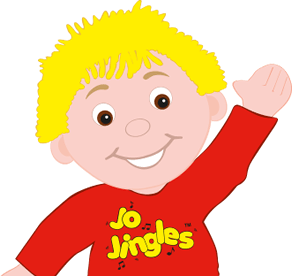 The Jo Jingles team are very welcoming and enthusiastic. I would recommend other mums to try it! Katie and Sam really look forward to Jo Jingles every week. 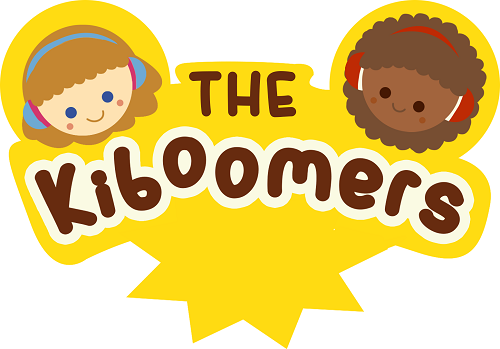 The classes are energetic, fun, enjoyable, interactive and are great at teaching the children new things in a fun way. Would thoroughly recommend classes to anyone.